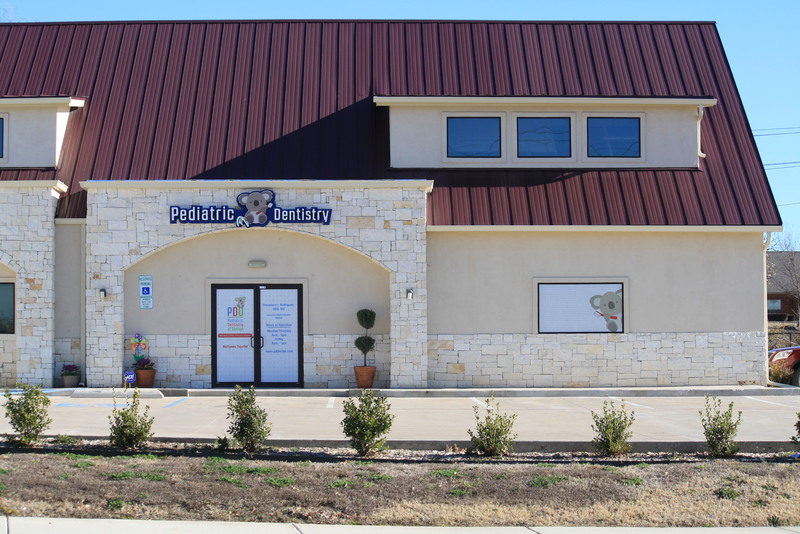 Welcome to Pediatric Dentistry of Denton, browse around the site for some information, services, office policies, and pictures. 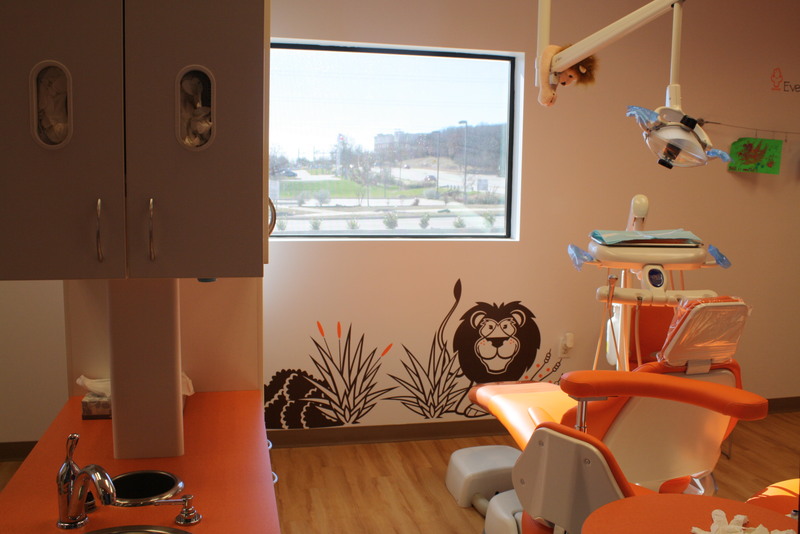 Our Mission is to become the Dental Home for infants, children, children with special needs, and adolescents to provide them with excellent dental care in a friendly and fun environment where they feel safe and comfortable. The “Dental Home” is the ongoing relationship between the dentist and the patient. This includes comprehensive oral health care before a problem develops causing discomfort. 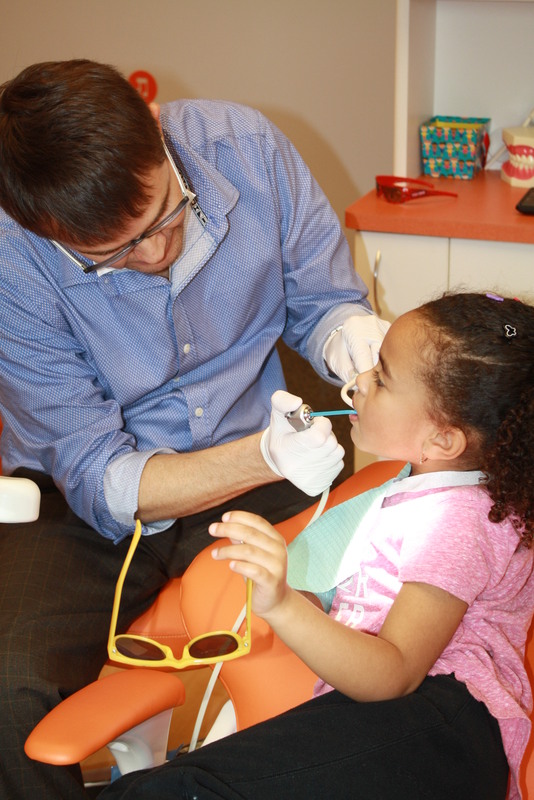 The American Academy of Pediatric Dentistry recommends establishing a “Dental Home” by one year of age. Same day and after hours Emergency care. In-Office sedation services and Hospital Dentistry. Bilingual doctor and Staff (English/ Spanish). 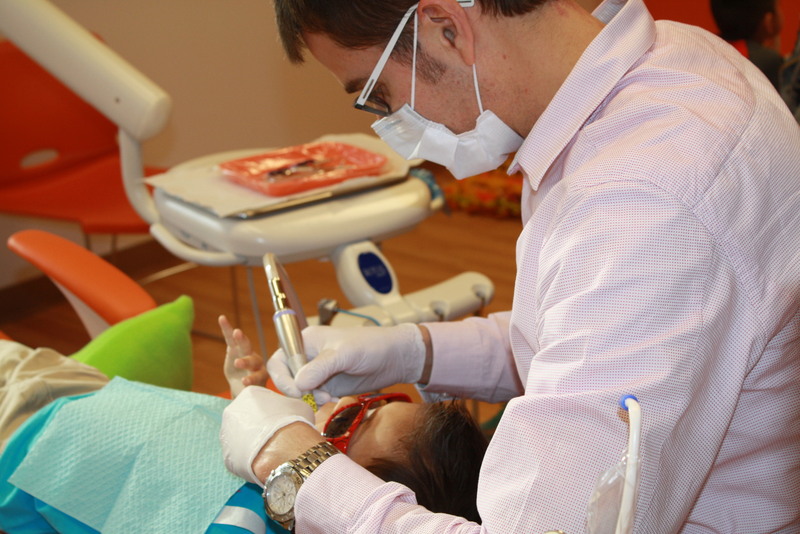 We Specialized in Dental Care for Infants, Children, Children with Special Needs, and Teenagers. 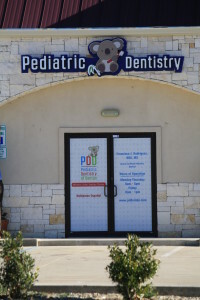 At Pediatric Dentistry of Denton we provide comprehensive dental care for infants, children, and teens in a comfortable and fun-filled atmosphere. Our specially-trained doctor and staff are professional, fun, caring, and friendly. We will make every effort to make your child experience pleasant. 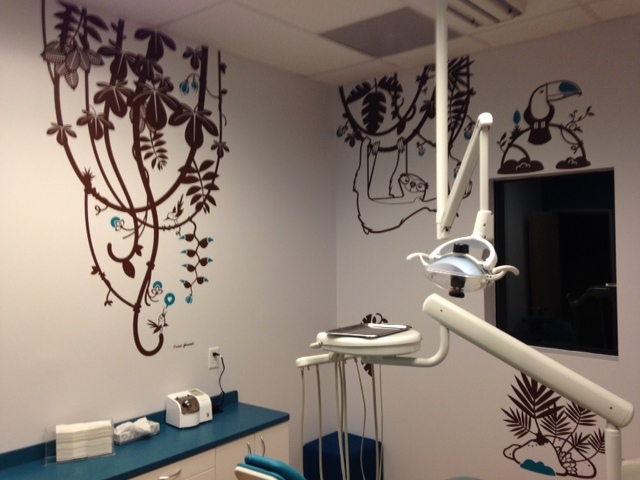 Ruby has several years experience in the dental profession. She is known for her bubbly personality that can flip a frown upside down. She truly cares about the patients and their families and loves working with kids. In her free time, she enjoys spending time with her husband and family. 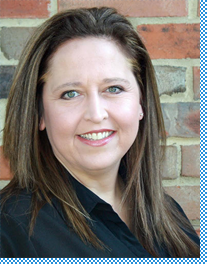 Michelle has been working in the dental field since 1998, with nine years of pediatric experience. 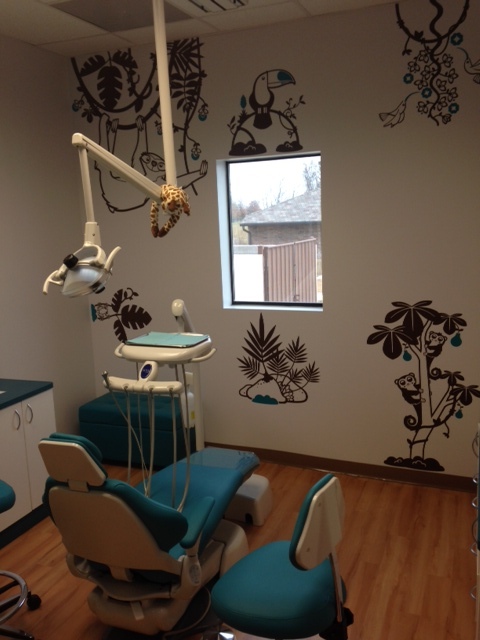 She loves working with children to make their dental experience a positive one. Michelle and her husband, John are the proud parents of four children and two grandchildren. When out of the office, she enjoys spending time with her family, crafting and sewing. Dr. Francisco Rodríguez is originally from Costa Rica. After graduating from Dental School in 1998, he continued his post-doctoral education in The United States. He completed a General Practice Residency at Jackson Memorial Hospital in Miami, Florida and at The Ohio State University in Columbus, Ohio. 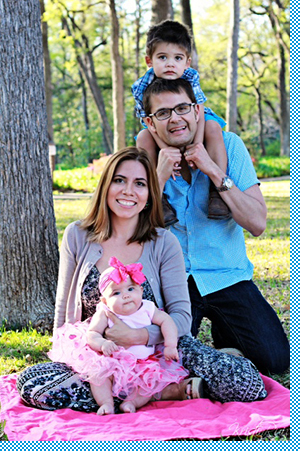 After these years of hospital dentistry training and following his passion for helping children, Dr. Rodriguez completed his Pediatric Dentistry Residency and Masters Degree at the University of Alabama at Birmingham (UAB) in Birmingham, Alabama. While at UAB, he was part of a fellowship at the Sparks Center for Developmental and Learning Disorders providing dental care for special needs children. 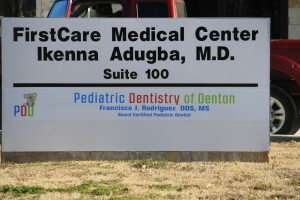 Prior to Pediatric Dentistry of Denton, he worked as a pediatric dentist in private practice for more than ten years in Texas, Wisconsin, and Illinois. Dr. Rodríguez is board certified by the American Board of Pediatric Dentistry, the highest achievement that can be obtained by a pediatric dentist. 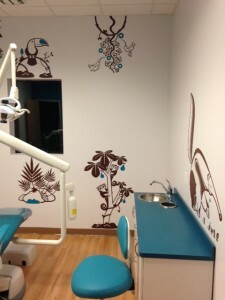 He feels that a positive and compassionate approach to children and their parents will allow them to feel safe, relaxed, and comfortable during the dental visit. 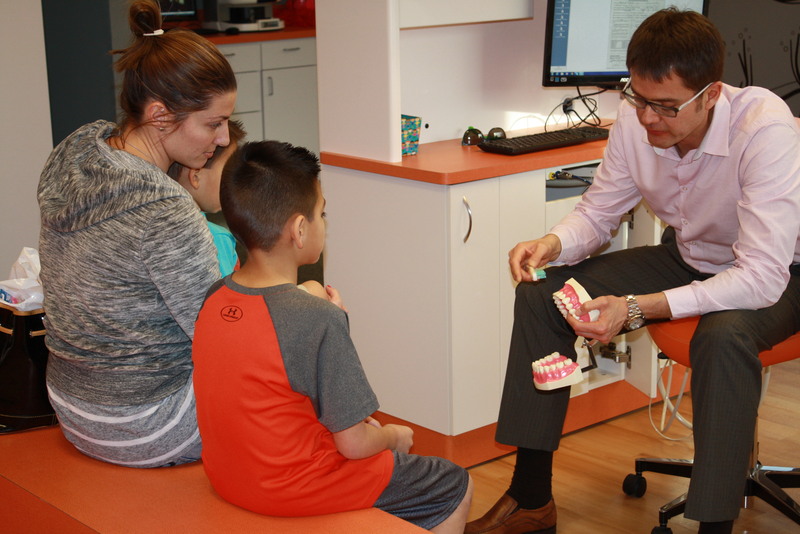 He strongly believes prevention through proper oral and overall health habits are the foundation for a child's healthy smile. He and his wife Eugenia have two children. They enjoy spending family time together while cooking, traveling, playing at the park or taking their Westie Fiona for walks. He loves sports especially soccer, tennis, and cycling. Dr. Rodriguez feels very fortunate and excited to bring his compassionate care, knowledge, and experience to the Denton community. According to the American Academy of Pediatric Dentistry ”the first dental visit should occur shortly after the first tooth erupts and no later than the child first birthday”. 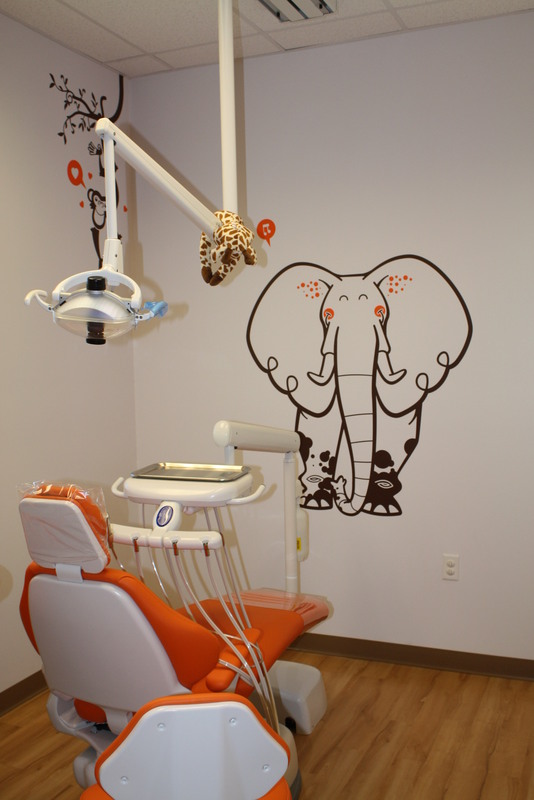 We want to make your child’s first visit enjoyable and positive. 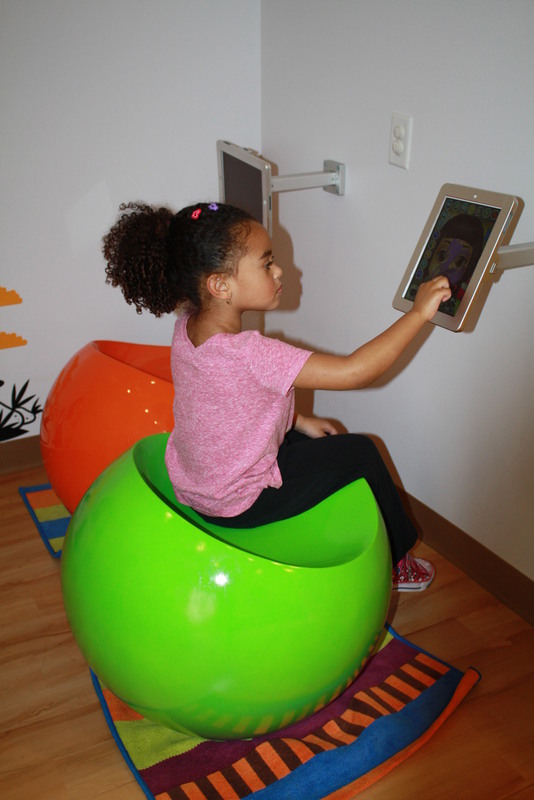 We will explain each of our procedures to your child in terms they can understand. 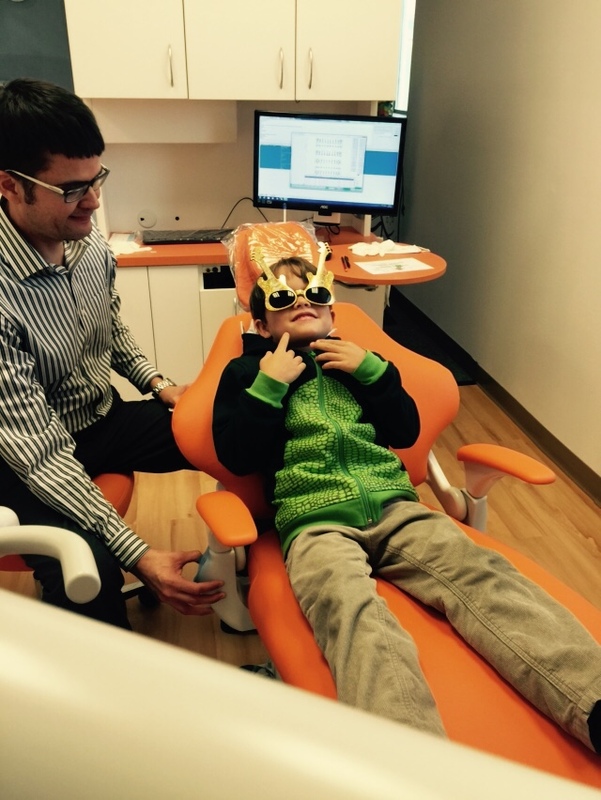 Parents play an important role in how children react to dental exams. Try to act relaxed and easy, any anxiety on your part would be sensed by your child; avoid using frightening words such as “needle”, “pull”, “drill”, or “hurt”, instead use words like: “sleepy juice”, “wiggle”, “whistle”. It is also important to schedule any appointment during times of the day that your child is most rested. – Meeting Dr. Rodriguez and becoming familiar with the office and staff. 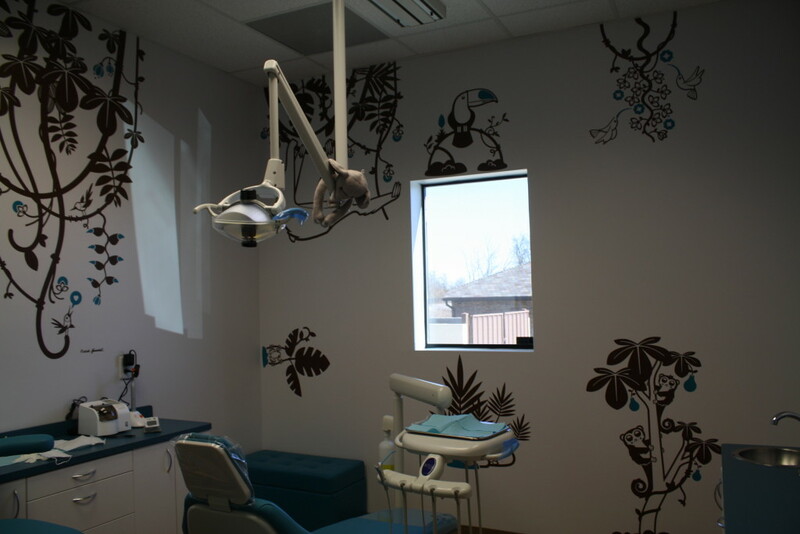 -An oral examination, cleaning of the teeth, fluoride treatment, and x-rays of the teeth as needed. -Discuss dietary habits, growth-development, and oral habits such as pacifier use and thumb sucking. -Children then pick a prize from our toy tower. ... will be a new patient. ... is a current patient. ... has an urgent need. 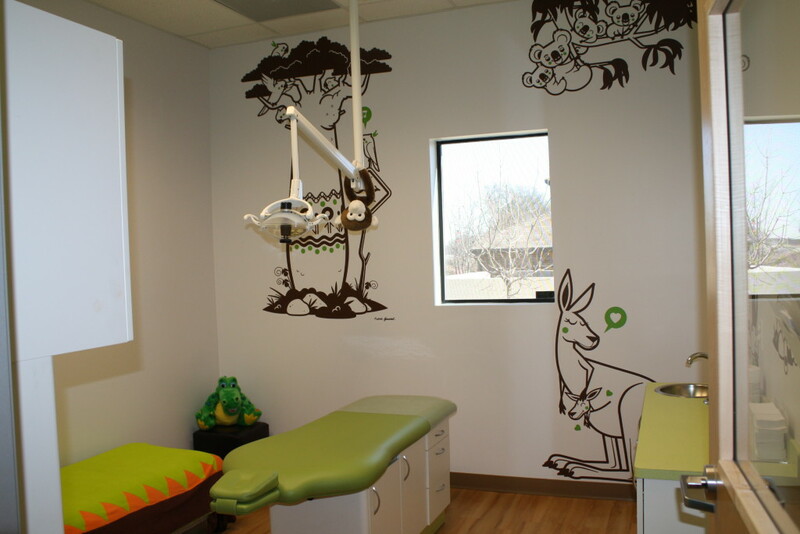 We specialize in dental care for infants, children, children with special needs, and adolescents. A pediatric dentist like Dr.Rodriguez, is a practitioner who after becoming a general dentist, has completed additional three years of post-doctoral training in the treatment of children’s dental needs. 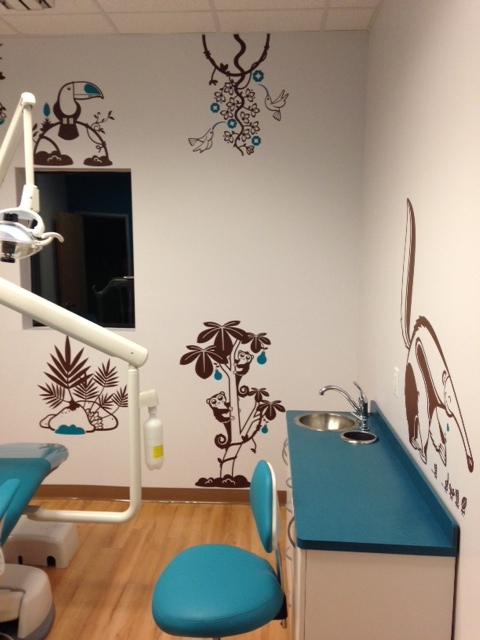 Many children are calm, comfortable, and confident in a pediatric dental office. 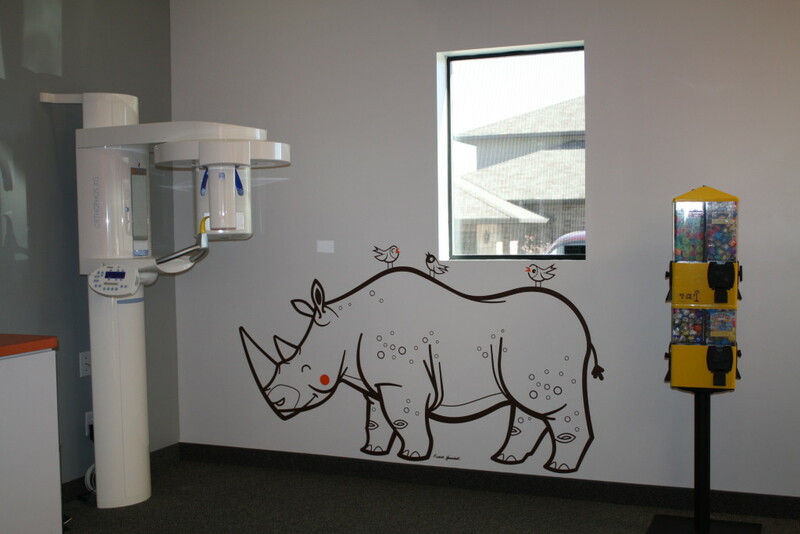 Because we specialize in treating children, we make children feel special. Sometimes, however, a child feels anxious during treatment. Our staff is fully trained and licensed to provide different types of sedation and we will decide after further discussion with the parent which one will benefit your child the best. Your child may need more support than a gentle, caring manner to feel comfortable. Nitrous oxide is a safe, effective technique to calm a child's fear of the dental visit. Your child will smell a sweet, pleasant aroma and experience a sense of well-being and relaxation. If your child is worried by the sights, sounds, or sensations of dental treatment, he or she may respond more positively with the use of nitrous oxide. Nitrous oxide is perhaps the safest sedative in dentistry. It is non-addictive, mild, easily taken, and quickly eliminated by the body. Your child remains fully conscious and keeps all natural reflexes when breathing nitrous oxide/oxygen. We recommend you limit your child's food intake before the dental visit, as nausea or vomiting occasionally occurs when a child has a full stomach. Also, tell Dr. Rodriguez about any respiratory condition that makes breathing through the nose difficult for your child, as it may limit the effectiveness of nitrous oxide/oxygen. Conscious sedation is a management technique that uses medications to assist the child to cope with fear and anxiety and cooperate with dental treatment. Medications and dosages used are unlikely to cause loss of consciousness in the patient, although children often become drowsy and may even sleep. Conscious sedation should be considered for children who have a high level of anxiety and are unable to cooperate. 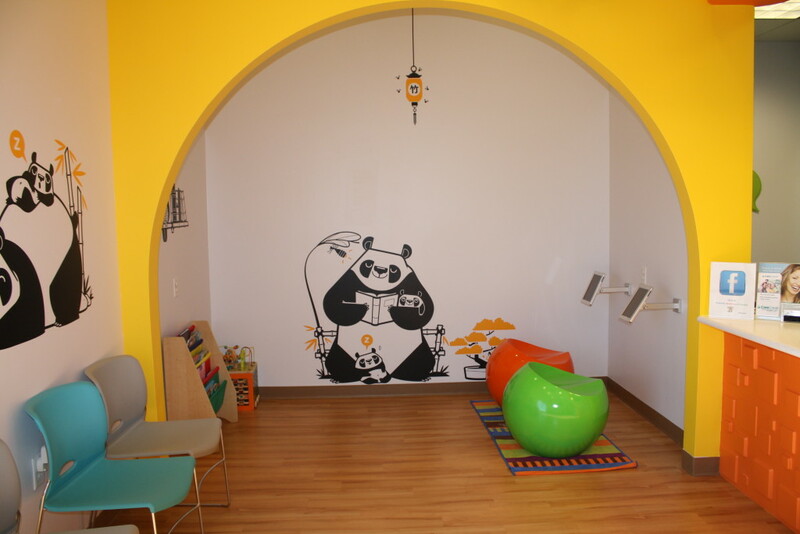 It is also extremely helpful for children who are very young or who have special needs. 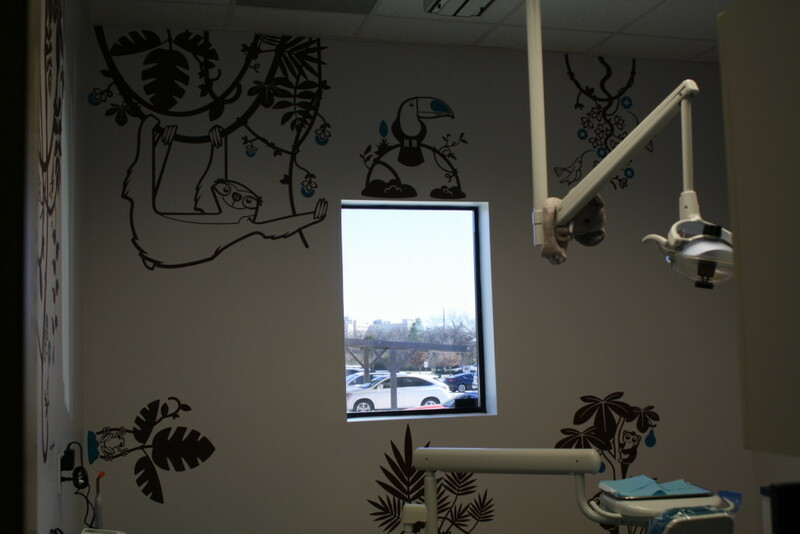 Conscious sedation aids in allowing a child to cope better with dental treatment, therefore preventing injury to the child and promoting a better environment for dental care. Many different medications can be used for conscious sedation. 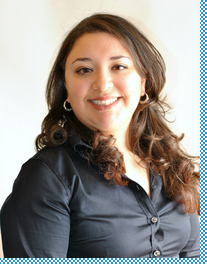 Dr. Rodriguez will discuss different options for your child. General anesthesia is a management technique that uses medications to cause the child to become unconscious and asleep while receiving dental care. It is provided in a hospital setting by a physician or dentist who has special training in anesthesia. Children with severe anxiety, inability to cooperate, or who need extensive treatment are candidates for general anesthesia. A child's age, health, and mental maturity level are all relevant factors when considering hospital sedation. The American Academy of Pediatric Dentistry, the American Association of Orthodontists, and the Academy for Sports Dentistry all recommend the use of a mouthguard when participating in ANY sport or activity that involves a risk of injury. A mouthguard is one the most important pieces of sports equipment, yet it's one of the most commonly overlooked. 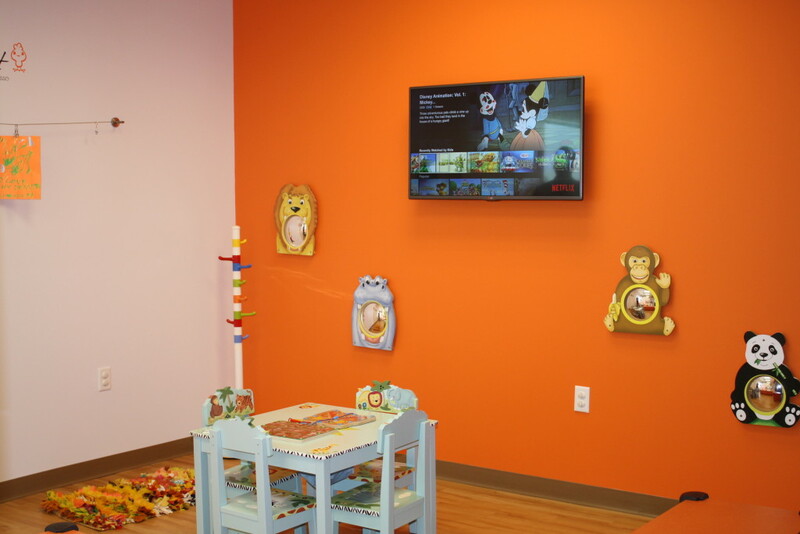 We see all patients on an appointment basis and request that you call in advance so we can reserve a time for your child. We make every effort to maintain time commitments and try to remain on schedule. We request that you extend the same courtesy to us and arrive on or before you scheduled appointment. This allows us to ensure proper care and compassion for your child. If you cannot keep an appointment, please notify us immediately. We ask that you give us 24 hours notice if you are going to cancel an appointment. 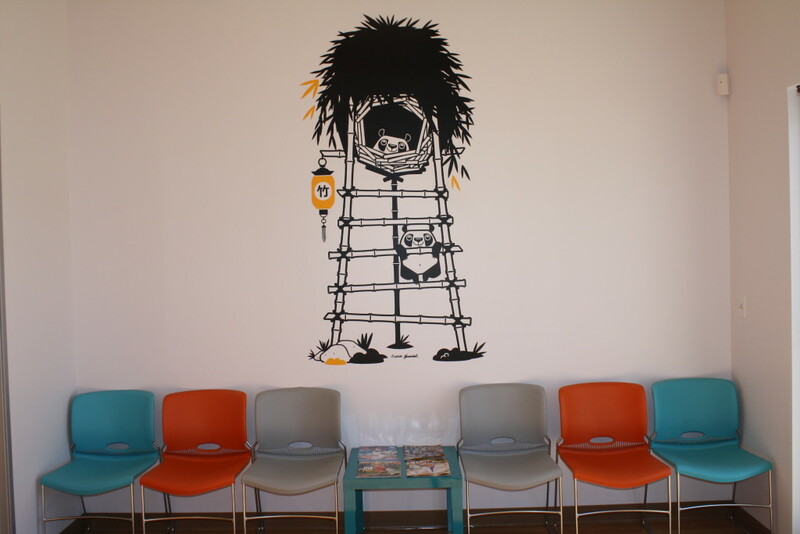 This courtesy allows us to see another child who is waiting for an appointment. Your appointment will also be considered “missed” if you are ten or more minutes late. It is our policy that a patient will only be allowed two missed appointments before being marked as inactive. The office attempts to schedule appointments at your convenience when available. PDD Accepts Most Insurance Policies (Medicaid, Insurance-PPO & Private Pay). 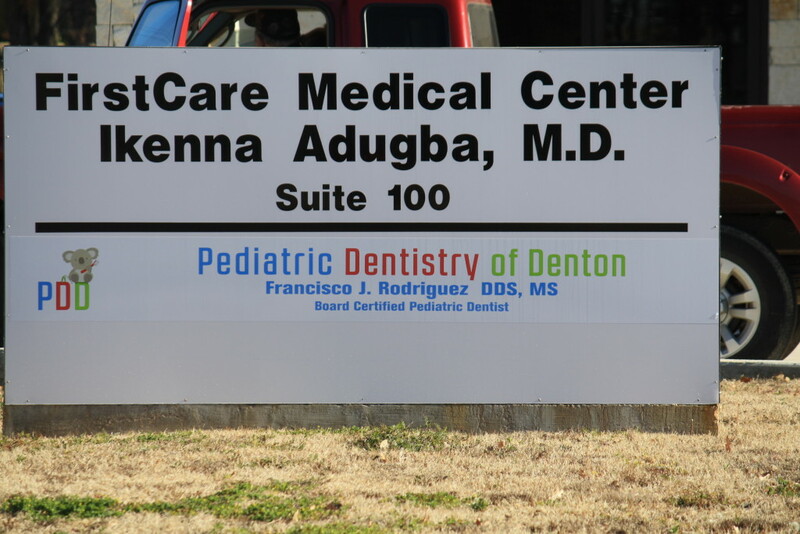 We’re committed to providing Denton’s children with outstanding and affordable health care. We accept most insurance plans. Call to enquire if your plan is accepted. We take Texas Medicaid/CHIPS. Payments for care, including co-payments, are due at the time of service. We make every effort to provide a treatment plan that fits your budget. PDD is happy to accept cash, check, and credit cards. For our private pay patients we offer a discount of 15% off all services. Insurance companies change. Please call the office for a complete list of companies that we participate with. If we receive all of your insurance information on the day of your hygiene visit we can preauthorize your treatment. It takes at least 20 to 30 days to receive a preauthorization back. When we know what your insurance will pay, we are able to break down payments per visit. If there is a change in what the insurance company pays, you will be billed within days of our receiving payment. You are responsible for all amounts not paid by insurance. PLEASE UNDERSTAND that we file dental insurance as a courtesy to our patients. You have a contract with your dental insurance company. We are not responsible for how a company handles its claims or for what benefits they pay on a claim. We can estimate your portion of the cost of treatment. We at no time guarantee what the insurance company will pay. We also cannot be responsible for errors in filing. No Insurance Company pays 100% of all procedures. Dental insurance aids individuals in receiving treatment. Most companies pay between 50-80% of the total fee. The percentage is usually determined by your employer who has paid for the coverage, and the contract that your company has with the dental provider. Benefits are not determined by our office. Insurances usually reimburse less than the actual fee. Their statement makes us seem that our fees are much too high. This is not an accurate statement. When estimating dental benefits, deductibles and percentages must be considered. Our office will not release any information about our patients except to parents, legal guardians, your insurance carrier or to other referred medical or dental offices, except by court order. Pediatric Dentistry of Denton makes going to the dentist a fun adventure! 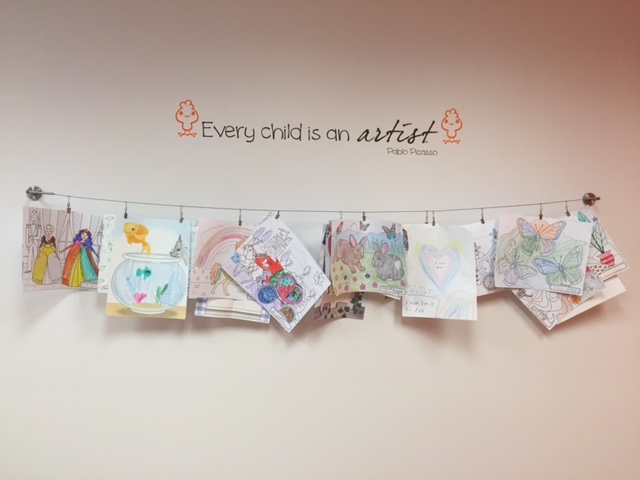 We encourage every child that has an appointment to bring a drawing so it can be placed in our Master Pieces Wall. 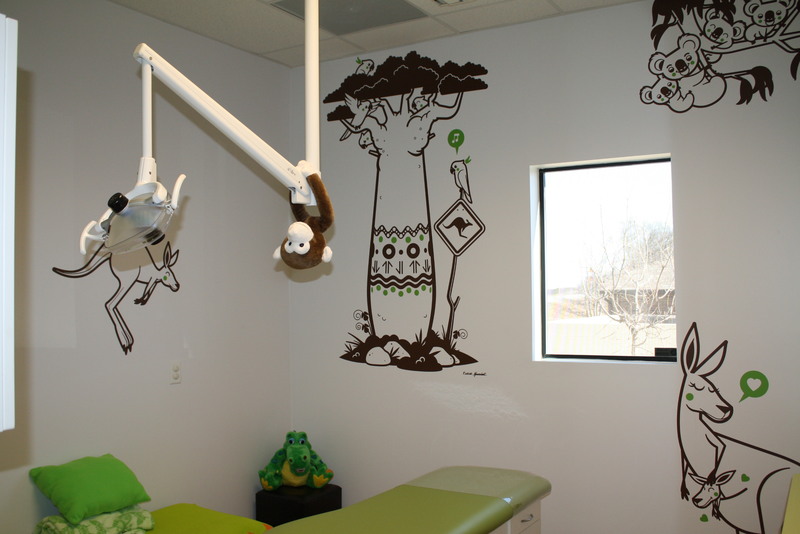 Each child with a no cavity check up will have their name put into a monthly drawing for a awesome gift. We look forward to seeing you! 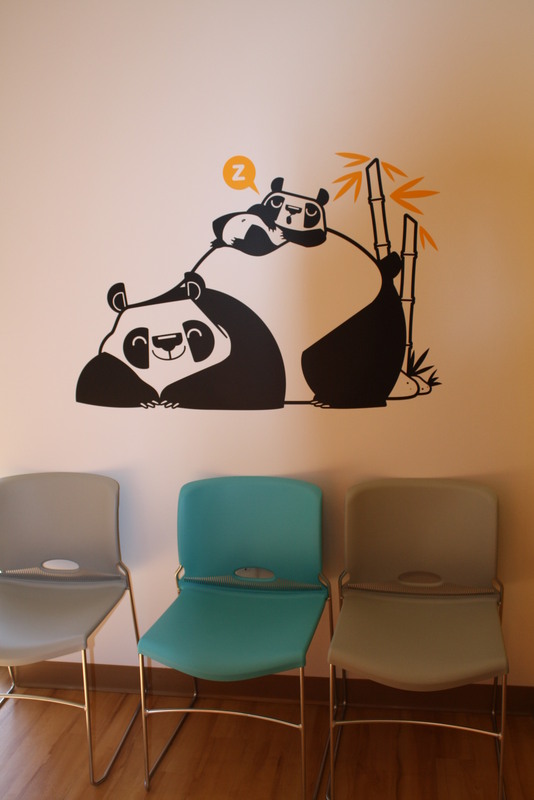 Q: When should I take my child to the dentist for their first check-up? A: Your child should have their first visit once their first primary tooth erupts or no later than their first birthday. 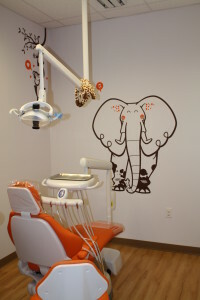 Q: What is a pediatric dentist? A: A pediatric dentist has two to three years of additional training after graduation from dental school. Practice is limited to infants, children, adolescents, and children with special needs. Q: Why are primary teeth important? A: Primary or “baby” teeth are important for proper chewing and eating, providing space for the permanent teeth and guiding them into the correct position, and permitting normal development of jaw bones and muscles. Q: How should I care for my child’s teeth? A: Begin daily brushing with a small soft-bristled toothbrush. A toothbrush will remove plaque and bacteria that can lead to decay. A ‘smear’ of toothpaste containing fluoride should be used for children less than 2 years old. A ‘pea-sized’ amount of toothpaste is appropriate for children 2 through 5 years. A balanced diet combined with good oral hygiene will give your child a lifetime of healthy habits. Q: What are good snacks for my child? A: Healthy eating habits lead to healthy teeth. Bacteria are particularly fond of foods containing sugars and carbohydrates. These foods provide bacteria with energy which allows them to stick to teeth and produce enamel-eating acid. Like the rest of the body, the teeth, bones, and the soft tissues of the mouth need a well-balanced diet. Children should eat a variety of foods from the five major food groups. Most snacks that children eat can lead to cavity formation. The more frequently a child snacks, the greater chance of tooth decay. If your child must snack, choose nutritious foods such as fruits, vegetables, yogurt, and cheese. Milk and juice are appropriate for consumption at meal times, however, water that contains fluoride should be consumed between meals. Q: How do sealants work? A: A sealant is a clear or white plastic coating that is applied to the chewing surfaces (grooves) of permanent back teeth. The sealant acts as a barrier to food, bacteria, plaque and acid, thus protecting these areas of the teeth to cavities. 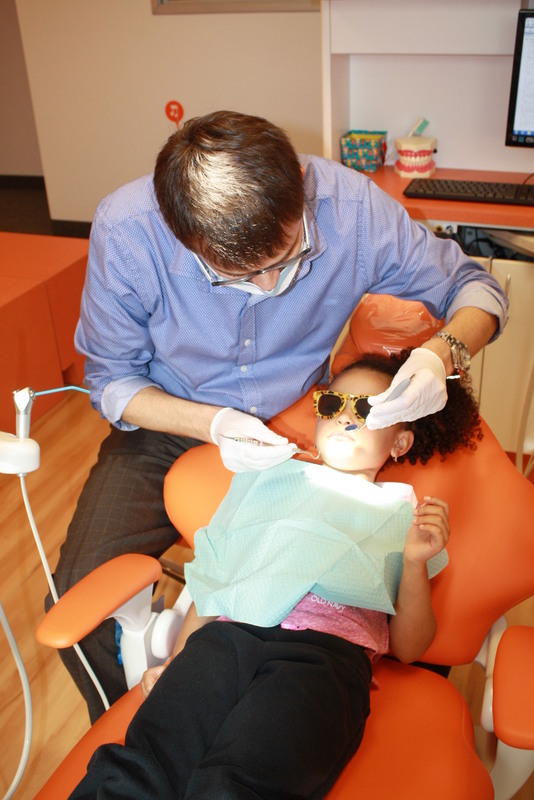 Q: How often does my child need to see the pediatric dentist? In case of a dental emergency please call our main office number at (940) 222 4589 for further instructions on how to reach Dr. Rodriguez. 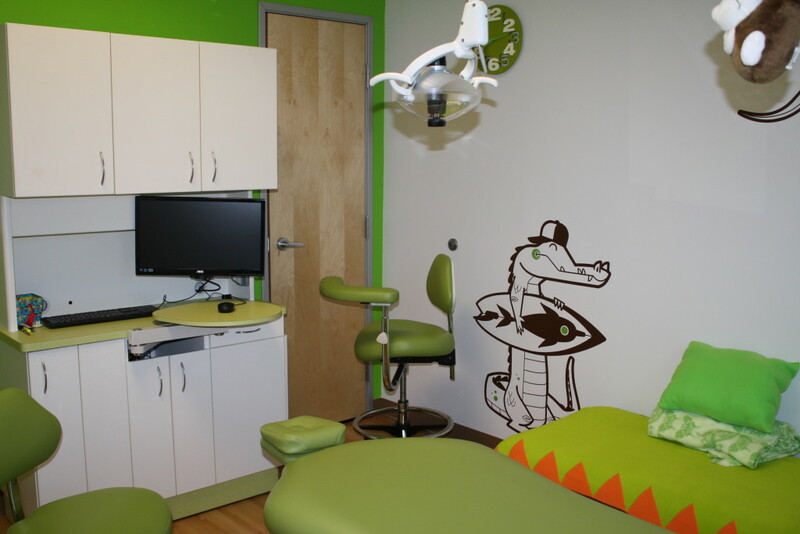 Copyright 2014 - Pediatric Dentistry of Denton All Rights Reserved.